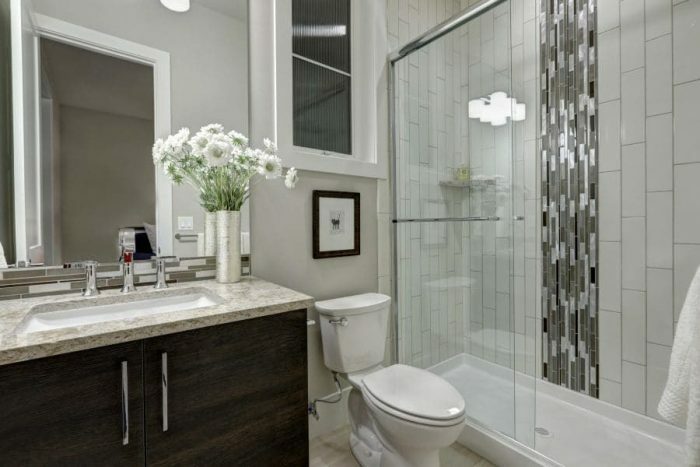 Are you looking for a bathroom remodeling contractor in the Salem Oregon or, in your hometown? If so, then you probably have many questions floating around in your head like I did the first time I remodeled a bathroom. You came to the right place to find some great bathroom ideas for your remodel. 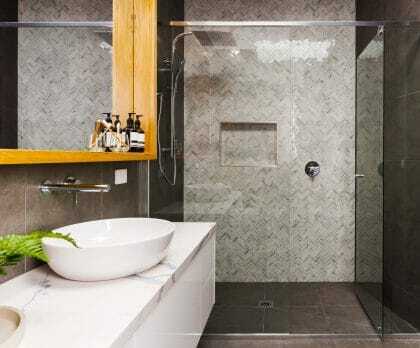 Want to know the 15 biggest mistakes people forget to think about when they are planning to remodel their small bathroom? Don’t make the toilet the feature. When to leave vintage finishes. How to properly lay out a lighting scheme. What is the best height for the sink? When might you want a corner sink? Can you really fit in that tub? How to pick the right vanity. What is worth a splurge and what isn’t? What to know about tile sizes. Should you really convert that tub into a shower? Can you install a toilet yourself? How important is moisture removal? What is the best way to transition from tile to another type of flooring? Can I make my small bathroom feel bigger and more spa-like? What’s the amount of space required for a toilet? How much does a basic bathroom remodel cost? How do you pick out the right vanity? What is the best lighting plan for my space? Should I change the layout, or leave things where they are? Would a small tile make my small bathroom look larger? On and on go the questions. If your answers to these questions are some combination of “What?” “Huh?” and “Um … ,” don’t worry. You’re not alone. Unless you’re a professional who does home remodeling every day — all the nitty-gritty details, processes, options, and decisions are going to be overwhelming and sound like they’re in a foreign language. If you’re tackling a bathroom remodel project, having a working knowledge of what to expect and what to consider can make the difference between a months-long waking nightmare ending in a bathroom that you settle for or a near-pleasant experience resulting in the room of your dreams. 1. Know what a bathroom remodel costs. Before you begin any project, it’s important to put your expectations into perspective when it comes to how much money you’re willing to invest. The size of your bathroom, the quality of materials you want to include and whether you’re planning to do some of the labor yourself all can affect the cost of a remodel. Here in Salem, Oregon Remodeling contractors charge anywhere from $5000 on up as high as you want to go. How can you keep a bathroom remodel within the “reasonable” range without it looking like a cheap bathroom remodel? 2. Don’t make the toilet the first thing you see when opening the door. Ask a bathroom designer what his or her best tried and true tip is, and this is what you’re likely to hear. The reasoning is simple. Oftentimes bathroom doors get left open, meaning that the first thing you or any guest in your home walking by will see the toilet. This can easily happen in a small bathroom where the options are limited but screams cheap bathroom remodel to anyone who knows something about bathroom design. So, what should you make the focal point? Anything but the toilet. 3. Consider leaving those vintage finishes. The point of your bathroom remodel might be a fresh, new look, but some things are easier to replace than others. For example, in older homes, wall tiles may have several coats of concrete behind them and maybe even wire lath. The difficulty in removing these can cause labor costs to skyrocket. Instead, you might want to keep the vintage tiles and design the rest of the room around them. 4. Plan a lighting scheme. I can’t emphasize enough the importance of having a well-planned lighting scheme. The best approach to a well-lit space is to incorporate layers of task, accent, ambient and decorative lighting. 5. Understand standard bathroom dimensions. Knowing a few key measurements, like the size of a typical bathtub and how much space is needed for a toilet, will help you plan your remodel more efficiently. 6. Plan the right height for your sink. Typical counter-tops are 32 to 34 inches off the floor. But you need to consider how your sink will add to or take away from the counter top’s height. If you have an above-counter vessel sink, for example, you’ll want to make your counter height lower so you can wash your hands or brush your teeth comfortably. 7. Consider a corner sink. If you’ve got an extremely small space with potential traffic-flow problems due to how the entry door or shower door swings open, then consider putting your sink in the corner to free up space. 8. Or a tiny tub. 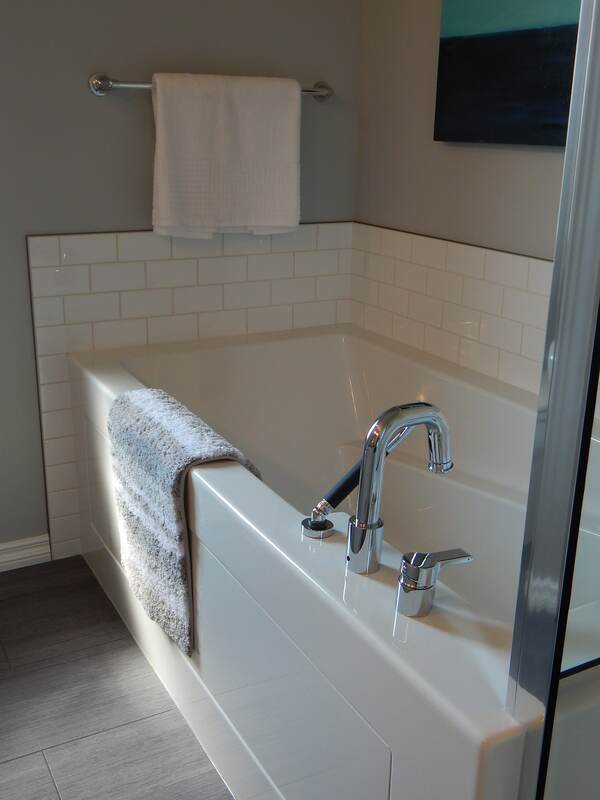 If you’ve got a small bathroom, you may think that a bathtub is not an option. But many companies are shrinking their models down to accommodate chic little spaces. Take a look at some of the smaller, free standing soaking tubs here. They may be smaller, but they’re nice and deep. Ideal for a relaxing soak. 9. Pick the right vanity. Vanities aren’t just for looks. Get one too big and you could mess up your bathroom’s traffic routes. Too small and you’ll be scrambling for more counter-top space and storage. Pick the wrong material and you could have maintenance issues on your hands. Too close to a doorless shower, or part of a wet room, look for a waterproof vanity. Where is it worth to splurge? 10. Splurge on a few high-end materials. A little designer secret is to splurge on just a few higher-end materials and finishes. Think about sprinkling in some materials for wall and floor coverings, counter-tops and more on the higher end of the spectrum. You might find that adding one or more of these materials to a small portion of your bathroom can make all the difference in the final design. This is a designer hack for a budget bathroom remodel looking high end. 11. Double check your tile size. Surprisingly, that 12-inch by 24-inch tile you bought might not be exactly what it claims to be. That’s because most tile is sold in European sizes (millimeters), and the quoted size might also factor in a grout joint, putting your fancy new tile at 11⅜, which can affect your tile layout, niches, and plumbing. 12. Think about converting your tub to a shower. If you don’t take baths but have a bathtub, that’s basically a 5-foot by 2½-foot area that’s going to waste. Converting it to a shower would be cost effective because it would make use of the space that’s already there and you wouldn’t have to reroute the plumbing. See our post on Tub to Shower Conversions – Smart? Or not so Smart? 13. Install a toilet yourself. The costs of installing fixtures also add to the cost of a remodeling project. One thing that many homeowners can do themselves is to install a new toilet, which can take just one hour. Here in Salem, Oregon a remodeling contractor would charge at least an extra $200 to install a toilet, while a plumber would probably charge twice that or more. 14. Have more than one way of drying out your bathroom. Reducing mold and mildew begins with removing moisture. To do that it’s best to have a multifaceted approach: a great fan that vents to the outside (not into an attic) and an operable window. 15. Pay attention to how hardwood flooring meets a tile floor. Chances are, your bathroom will have a tile floor, but the hallway or room it’s connected to will have something totally different, like hardwood. The floor transitions between these two spaces and materials are something that’s tough to get right. As in most cases, planning ahead will give you results that meet your expectations. If you have a carpet to tile transition keep in mind that a carpet to tile transition strip can cheapen the look of your remodel. The only transition strips that we have found that don’t look cheesy are the Schluter tile edgings like this one, or for rounded edges this one. Now that you know the basics as to what you need to do in order to remodel your bathroom, why not contact a professional to help you through the transition. We are here to help you day and night.